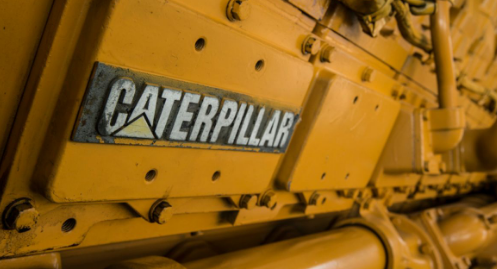 We take a look at the fourth quarter and full year results of machinery and equipment group, Caterpillar, whose results are often said to hold clues as to the where the world economy is heading. Caterpillar Inc. owns a complex portfolio of brands whose roles and relationships support the growth to achieve our enterprise goals. The Caterpillar brand is used in communication to represent our corporation with the investment community, employees, public policy makers, and other key stakeholders. The Caterpillar brand is the umbrella that shelters all other brands in the portfolio. Cat is the flagship brand in the Caterpillar portfolio and one of the most valuable brands in the world. Cat machines and engines are widely recognized as premium products and known for superior quality and reliability. Globally, the Cat logo has become an icon, often worn as a badge symbolizing hard work, grit and a get-it-done attitude. The Cat product portfolio is the most extensive in the industry, with products ranging from the lunchbox-sized INV2000 inverter generator to marine engines to the 1000 tonne Cat 6090 mining excavator. The portfolio also includes technology products, and a broad array of services such as rental and finance. Primary industries served include construction, mining, power generation, marine, oil and gas, forestry, landscaping, agriculture, paving, waste, and quarry. Whether you’re building a flower bed or a skyscraper, or just need some comfortable work boots, there’s Cat product that will help you get the job done. Cat Reman recovers materials through differentiated technology and employs environmentally sustainable practices to restore components to good-as-new condition. Cat Reman is positioned as a high technology, low cost, global brand focused on salvage capabilities. Unlike regional competitors, it is able to provide a complete product offering. Over-the-counter availability of a broad portfolio of Cat Reman parts through Cat dealers gives customers more options at repair and overhaul time. 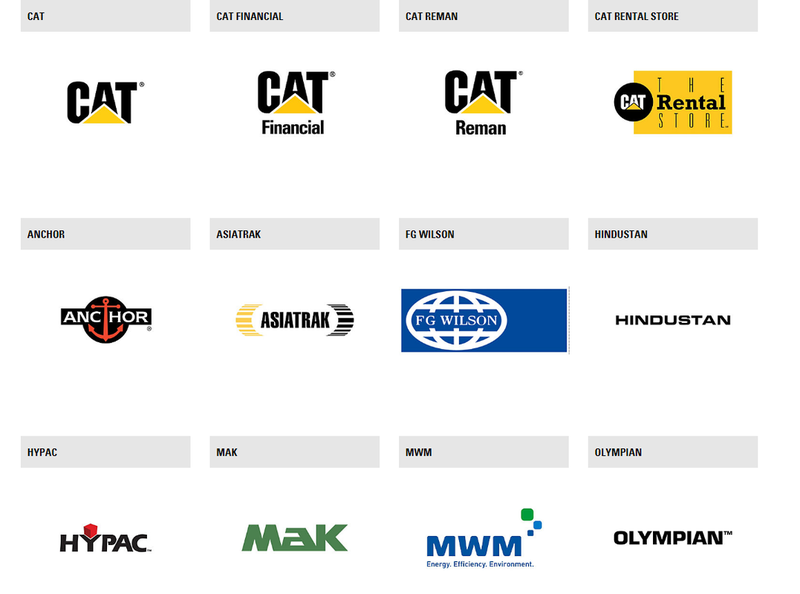 In addition to offering Cat Reman parts for Cat machines and engines, we remanufacture for customers spanning several industries such as; Perkins and Alcoa (industrial), Ford (automotive), and Honeywell (components). Prime power or standby service, Olympian diesel fuel generator sets deliver dependable, clean, economical power – even in the most demanding conditions – and Olympian gensets are available in a wide range of configurations with optional equipment. Olympian generator sets are designed, engineered and manufactured for optimal performance. All major components are tested individually; once assembled, the entire unit is tested at and above 100% of rated load for safety and operation. These complete, ready-to-run packages have another distinct advantage: They all come with the comprehensive service and support of Cat® dealers – beginning with prompt delivery and ongoing support throughout the life of the generator set. Olympian is positioned as a “value brand” with customers. It gives dealers an option to offer a lower priced, more simple, yet quality product for price sensitive markets and applications. Main differentiation to the Cat brand is the parts and service support. While the Cat branded product is supported by the Cat parts system, the Olympian product uses an different, lower cost, independent parts logistics system. Hypac provides mining equipment spares and components for electric drive off-highway Komatsu and Euclid Dump Trucks, General Electric Wheel Motors, parts and components, Ingersoll Rand/ Atlas Copco drill parts, LeTourneau loader spares, and more. Hypac does business directly with mines overseas and in the USA, brokers, agents, overseas OEMs and OEM dealers. Adjusted profit per share excludes several adjustments consisting of restructuring costs, mark-to-market losses for remeasurement of pension and other postemployment benefit (OPEB) plans, certain deferred tax valuation allowance adjustments, the impact of U.S. tax reform and a gain on sale of an equity investment in 2017. Fourth-quarter 2018 Machinery, Energy & Transportation (ME&T) operating cash flow was $2.5 billion. 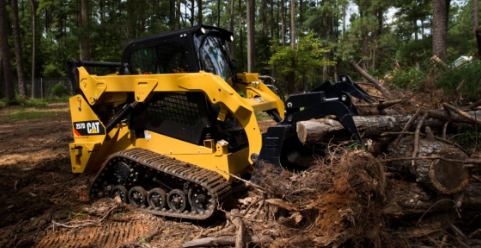 In the fourth quarter of 2018, the company repurchased $1.8 billion of Caterpillar common stock and paid dividends of $507 million. Based on the above, we are sure the shares in CAT is getting punished due to the disappointing dividend for the year especially considering the bumper profit year they have had. Total shareholders equity is sitting at $14 billion (or $23.5 a share). So at the current share price it is trading at almost 5.5 times its book value. Which is not that uncommon for operating entities with high turnover and strong cash generation to trade at multiples this magnitude over book value. 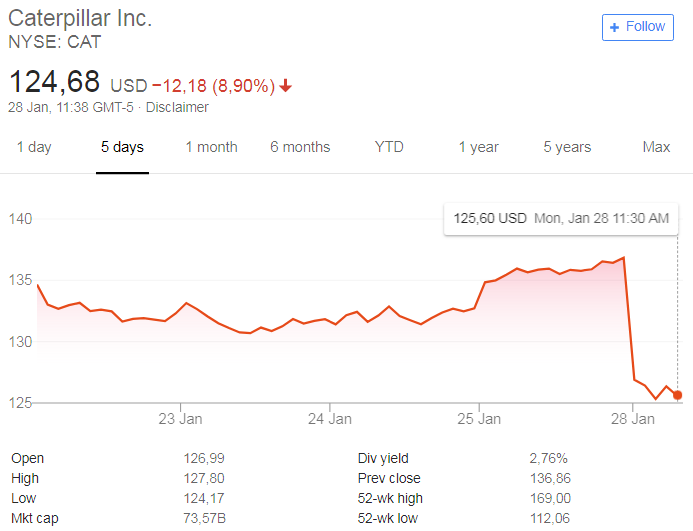 Following a record year for profit per share, Caterpillar expects 2019 profit to increase to a range of $11.75 to $12.75 per share. “Our outlook assumes a modest sales increase based on the fundamentals of our diverse end markets as well as the macroeconomic and geopolitical environment. We will continue to focus on operational excellence, including cost discipline, while investing in expanded offerings and services to drive long-term profitable growth,” added Umpleby. Beginning in 2019, the company does not plan to exclude restructuring costs from adjusted profit per share as these costs are expected to return to normalized levels. The outlook does not include a mark-to-market gain or loss for remeasurement of pension and OPEB plans or any changes to estimates related to U.S. tax reform due to interpretations released in 2019. Well as a company their earnings are pretty cyclical, and concerns regarding growth in China's economy will have investors weary of their short term prospects. While they had a bumper year and their PE ratio is not that demanding at 12.12, but their dividend yield at 2.6% is pretty disappointing. And they are currently trading at a Price/Book Value of 5.5 which is extremely high, but not unheard of. All things considered we value the group's shares at $130.6 a share based on their current financial results, dividends, cash generated and the markets and sectors they are exposed to. We therefore believe the dip in the share price as shown in the image below is justified as the share price was slightly overvalued based on our valuation method.